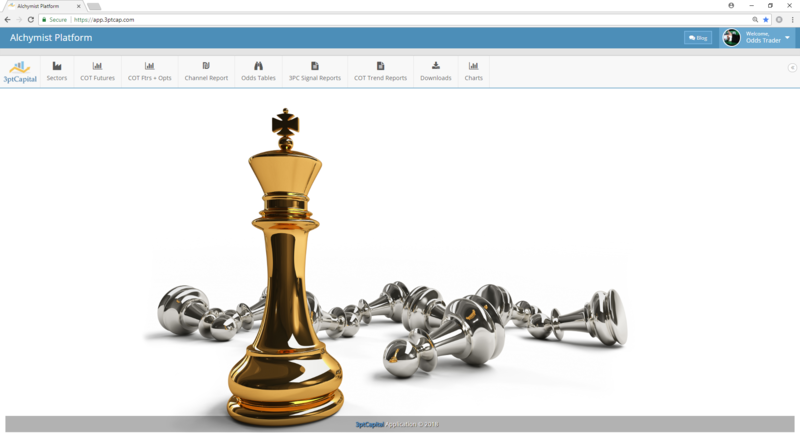 Alchymist – A Futures Trading and Research Portal – Know the Odds. Measure Risk. Execute your strategy. A Futures Trading and Research Portal - Know the Odds. Measure Risk. Execute your strategy. Know the Odds. Measure Risk. Execute your strategy. Our Analytics sort through over 115 million data points to facilitate high probability trade selection. 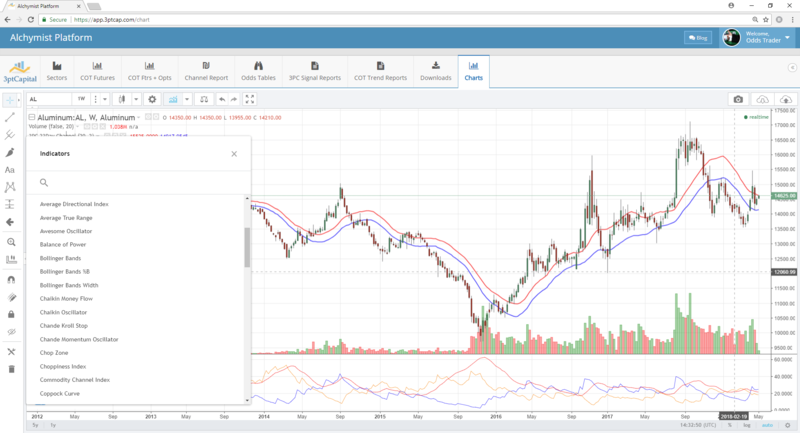 Access charts and data tables with historical look back capability so that traders can analyze price movement and history of a given instrument. Identify when Positioning and Activity of Commercials and Funds are at Extreme Levels, and position ahead of the reversion to mean. 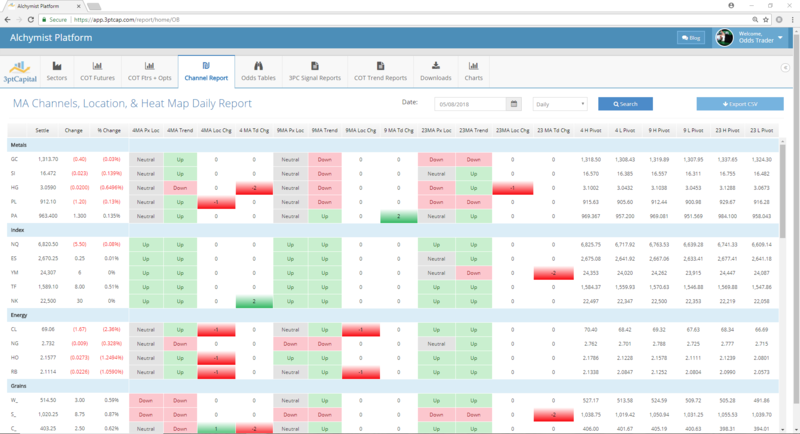 The Alchymist Portal provides a powerful and affordable cloud based Data Lab for Commodity and Futures Traders. 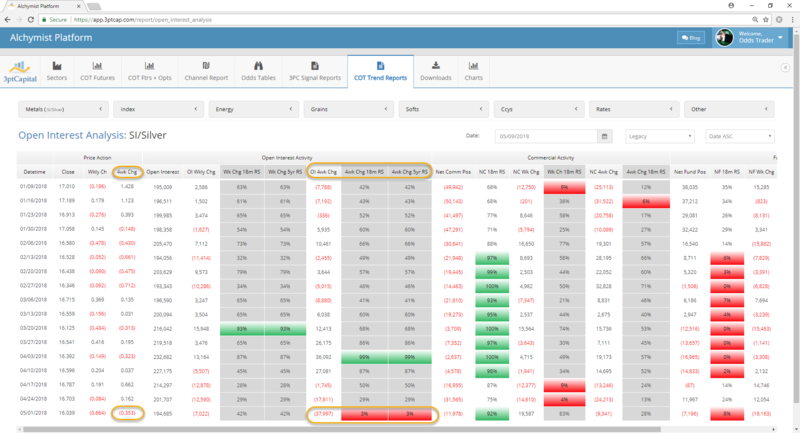 Heat Maps on Price and Positioning across 55 of the most actively traded US & Shanghai Futures, so users can quickly and easily understand fund flows and locate trading opportunities. Data files going back decades which are readily available throughout the platform across our reports and data tables. Two separate chaining methodologies for continuous futures contracts across daily and weekly time frames. Know the average and percentile price movements for each Future over a given time frame. Measure the probability of a current trending move continuing or ending. 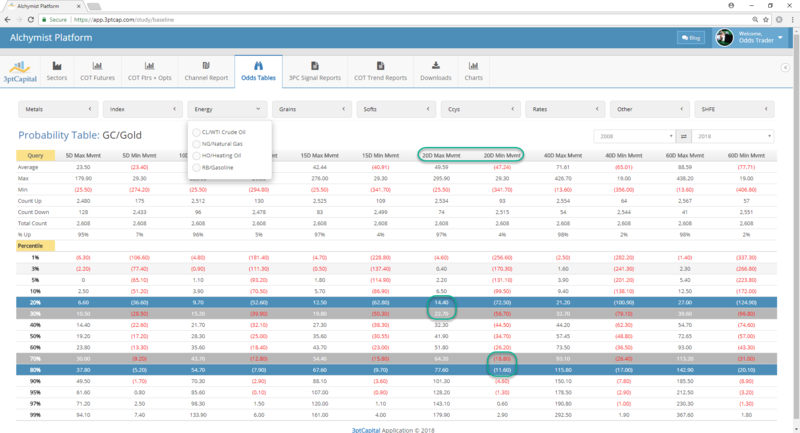 Query our database to locate trading opportunities with a favorable statistical profile. 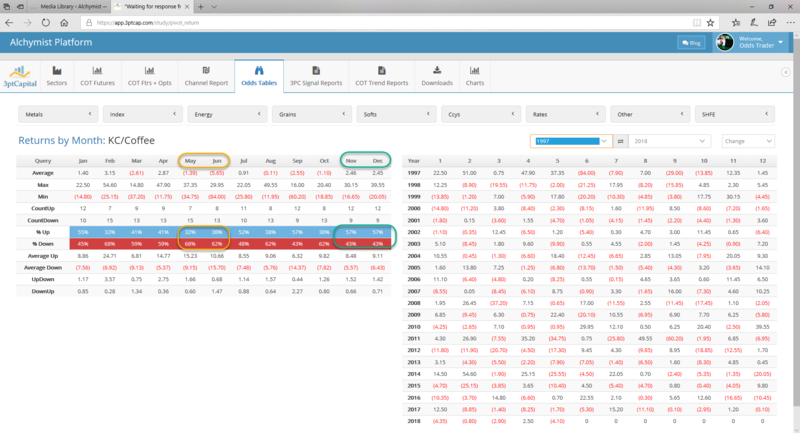 Statistical Data Tables, Price Charts, Ratio Charts and COT Graphs, available through our Interactive Charting Platform. 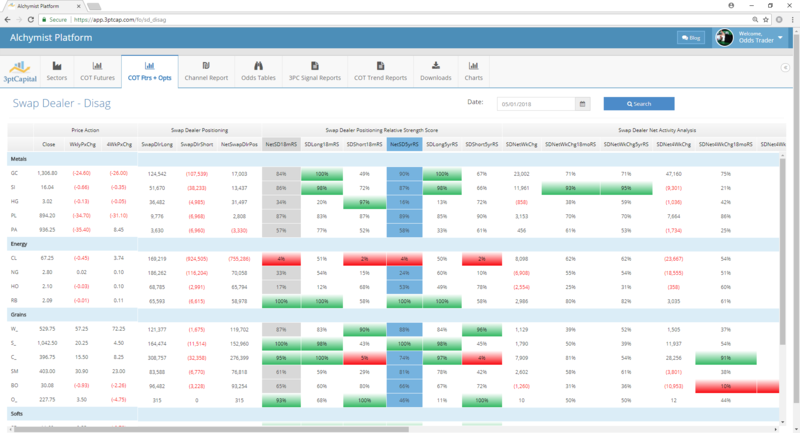 Look back capability to easily analyze decades of Price Action. When are the reports and data tables updated? We run an end of day batch that commences an hour after the last exchange closes. Price files and tables are updated each night by 8.00pm EST. Commitment of Traders data is updated each friday by 10.00pm EST. Are we able to bulk download the Raw Data files from the exchanges? We source our Market Data from a CME licensed data distributor. In order to have bulk download access to the raw data files, there is an additional charge that would be included in the Monthly Leasing Rate of the Platform. Please contact us at alchymistinfo@3ptcap.com to discuss pricing options. Does 3ptCapital Risk Manage a Firm Account? I'm interested in learning more about Alchymist. What are the next steps? Please register at the sign-up link for 14 day trial access, so that you can see first hand what our platform and research can offer. Do you offer Alchymist Platform support? Yes, technical support for the application is included in the monthly leasing rate. For any technical support or general questions, just send us an email at techsupport@3ptcap.com. Test Drive Alchymist with no obligations.